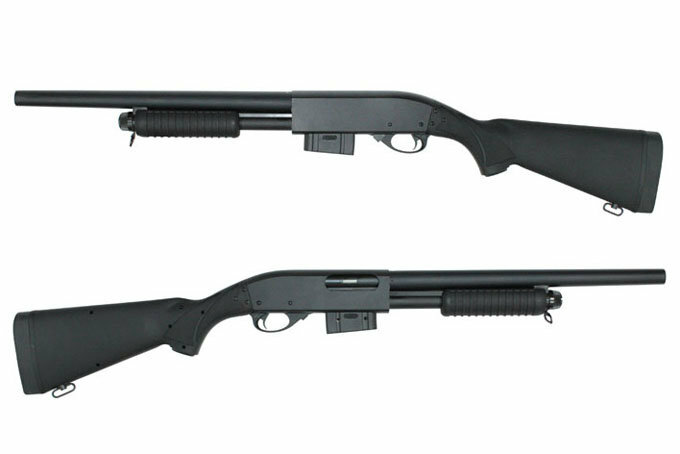 Full Metal Spring Shotgun with plastic black furniture. Single shot with each pump. Long version.